Comments for My mom's wonderful cakes. with our clients and suppliers to ensure that every selection leads to satisfaction for decades. great contest and hopefully I can attend the next one. It was alot of fun and I really enjoyed myself.. This is usually a superb posting, With thanks to get allowing people this review. Continue to keep writing. You will be permitted to posting companies, yet not one-way links, except in cases where they can be permitted plus for issue. With much thanks to your mom's creativity and your willingness to share with the rest of us! All the best to both of you. I think your mom is really very talented. And she has really made a wonderful cake for you. I appreciate this stylish cake. Please share more! Hi Heidi, I loved the cake in this picture. I think your mom has a great talent in making these cakes. You are so lucky to have a mom like her. The color combination applied in and out of the cake is awesome. Your cake is looking very yummy and tasty. 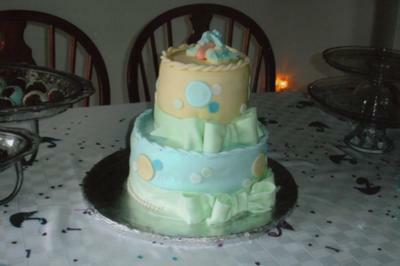 Your mom did work very well and make a very fresh cake with good color selection. I really love to eat cakes and this one looks amazingly tasty! !